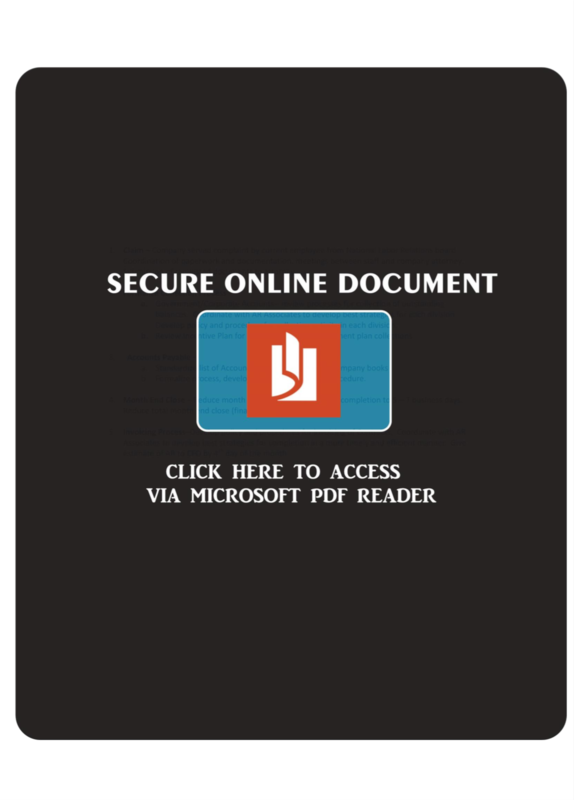 It will surprise few people to learn that during our daily review of suspicious emails forwarded to us by users of the Phish Alert Button (PAB) we routinely see a large number of phishing emails targeted at employees of financial organizations — banks, credit unions, and other organizations whose business it is to manage financial assets. But malicious actors are happy to take advantage of any organization whose user accounts and networks can be compromised and leveraged for financial gain. 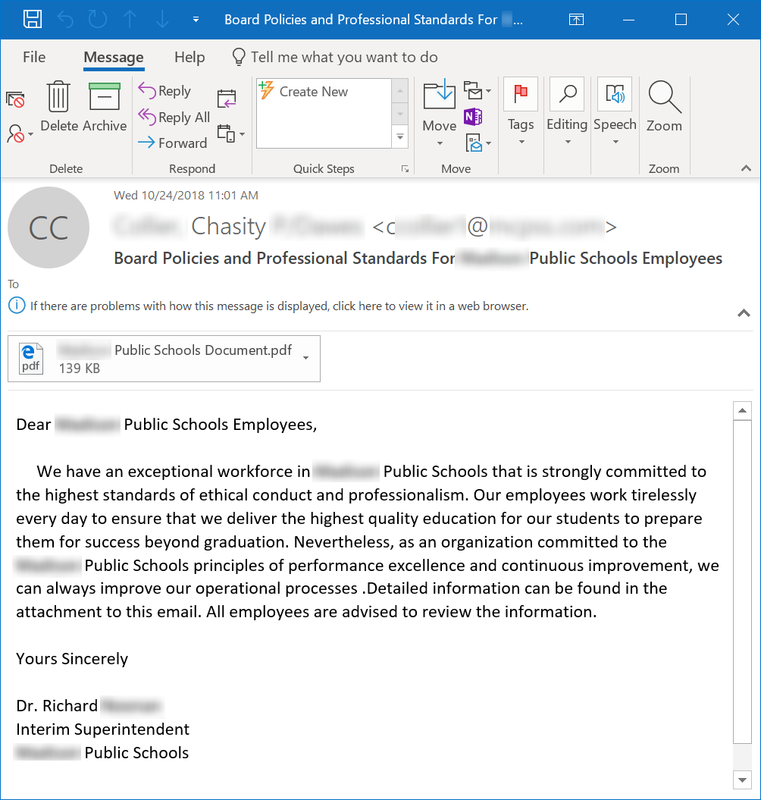 Over the past month we have observed the growth of a cleverly crafted phishing campaign aimed at employees of public school districts and small colleges, including community colleges. In this campaign the bad guys flood educational organizations with emails purporting to be from a senior figure. These malicious emails typically announce new policies governing employee conduct or a renewed focus in the organization on proper, ethical professional behavior. A couple of things to note about this email. First, it is directly targeted at employees of a specifically named community college. 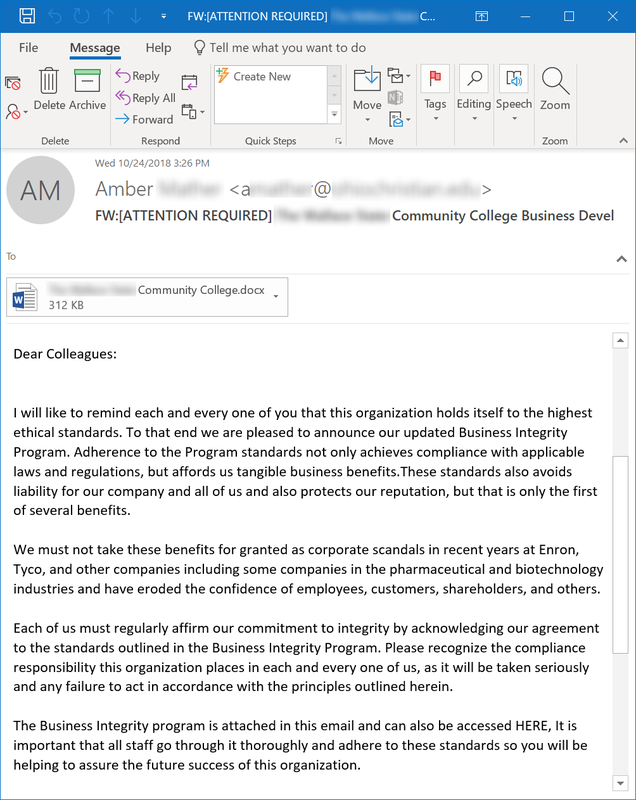 Second, although not visible in the screenshot above, the email spoofs the President of this community college — a senior figure surely familiar to most employees, if only because they are used to receiving similar organization-wide emails from that person on just this sort of topic matter. 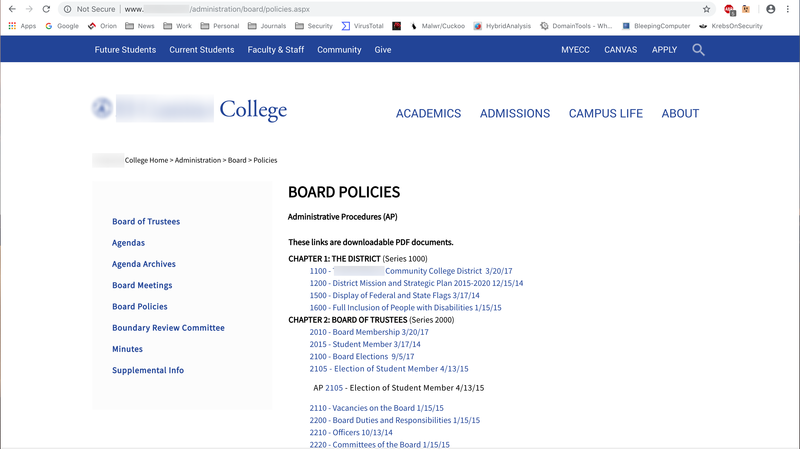 Third, also not visible in that screenshot are the graphics used to establish the authority of the email — namely, the institution’s logo and school mascot. Again, employees working within educational organizations — especially publicly funded institutions — will be familiar and experienced with regular discussions of these topics. Users gullible enough to hand their credentials over to the bad guys may not even notice anything is amiss, as submission of a username and password whisks users to a web page on their organization’s own web site specifically chosen to reinforce the authenticity of the social engineering scheme. That web page, it’s worth noting, is most certainly NOT password-protected and can be accessed by any member of the public visiting the organization’s web site. Once inside an organization malicious actors can wreak all kinds of mayhem (think ransomware). They may also elect to play a longer game by sticking to the shadows, quietly exploiting the organization’s computer resources (think processor intensive crypto-mining bots or sophisticated backdoor trojans used to harvest confidential data and gain access to financial tools). 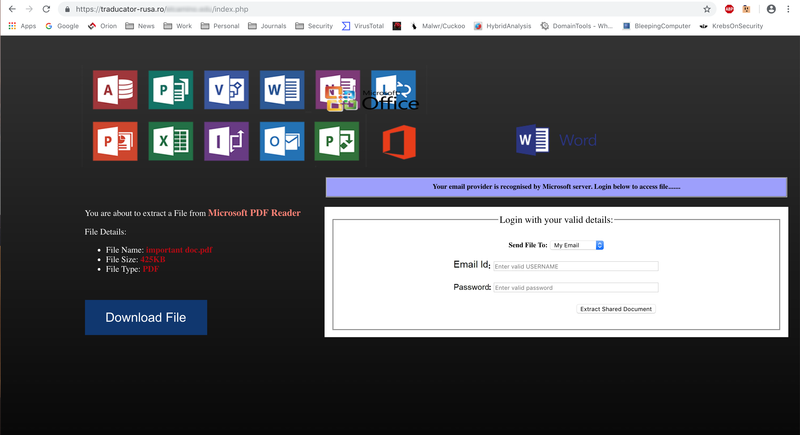 If your organization’s business lies outside the financial industry, you shouldn’t think for a minute that it is safe from professional grade phishing campaigns. Malicious actors have developed a wide repertoire of fraudulent schemes and tools to exploit even “boring” industries like education. Make sure that your employees are equipped not only with a healthy understanding of your organization’s professional code of conduct, but with the critical skills necessary to spotting malicious emails and shutting down a potential breach of your organization when the bad guys come knocking. The Phish Alert Button gives your users a safe way to forward email threats to the security team for analysis and deletes the email from the user’s inbox to prevent future exposure. All with just one click!